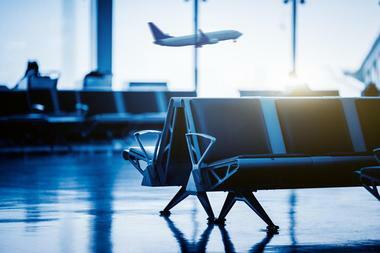 There are airports that belong in a class of their own when it comes to customer satisfaction. Sometimes it’s above average free wireless connectivity, unique features like sleep pods, or visual and performing arts on-site. Or maybe it’s gourmet food choices, or the ease of moving through the airport. Whatever their specialty, here are 25 U.S. airports that stand out for providing more pleasant travel experiences than their 15,000 counterparts. 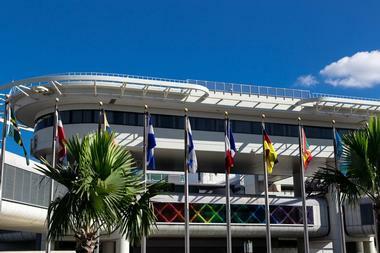 Situated on 3,230 acres, the Miami International Airport (MIA) is located close to Downtown Miami. It’s the second busiest international passenger airport, offering more flights to the Caribbean and Latin America than any other airport in the United States. Miami International has more than 100 air carriers and is the number one airport for international freight. They are rapidly working towards becoming more than a hemispheric hub. Becoming the global airport of choice with an expanded route network that provides direct access to every region in the world is their ultimate goal. Already known for giving travelers world-class service, MIA offers a wealth of restaurants, shops, amenities, and services including their very own luxury Airport Hotel. Situated in the heart of the stunning Gallatin Valley, the Bozeman Yellowstone International Airport (BZN) provides non-stop flights to fifteen cities in the U.S. with connecting flights all across the globe. This rustically designed airport features a natural stone and wood design accentuated by crackling fireplaces and artwork depicting natural landscapes of Southwestern Montana. The busiest airport in Montana, BZN serves two of Yellowstone National Park’s entrances and various destinations in Belgrade, Bozeman, and Livingston. 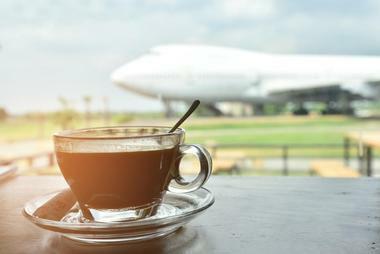 Several amenities complement the airport’s snow-capped mountain views such as an espresso counter, a restaurant and lounge, gift shops, a conference room, wireless internet access, and data ports. Technically not a part of any city, the Minneapolis – St. Paul Airport (MSP) is nestled among several different cities including Minneapolis, St. Paul, and several suburban neighborhoods. One of the easiest airports to navigate, MSP is equipped with one airfield, four runways, and two buildings that serve as terminals. Terminal 1 is known as Lindbergh and terminal two is known as Humphrey. Visitors will need to use the light rail transit service to maneuver between the two terminals as there is no pedestrian access. A total of sixteen airlines fly in and out of MSP including Delta, Boutique Air, Alaska, and AirFrance. Both national and international non-stop destinations are offered at MSP. Those with long layovers may want to visit the world-famous Mall of America, a two-minute light rail ride away. Cincinnati/Northern Kentucky International Airport (CVG) is a fast-paced, innovative airport that both celebrates the city’s heritage and modernization through its design and décor. Grand dinosaur fossil displays, Kentucky-Derby inspired artwork, a small space museum, a quaint chapel, and a welcome center boasting comfortable massage chairs are just a few of CVG’s highlights. There are more than forty dining option and airport shops from McDonald’s and Outback Steakhouse to Duty Free Americas and Creative Kidstuff. They offer more non-stop destinations than all other surrounding airports with eleven airlines represented both nationally and internationally. CVG is divided in to three terminal levels for easy navigation. Level one is the meeting point, level two is for baggage claim, and level three is ticketing and check-in. Owned and operated by the city of Dallas itself, the Dallas Love Field Airport is one of the world’s best general purpose airports. Situated less than ten miles northwest of downtown, DLF is a corporate and commercial airline with superior aeronautical equipment. Five airlines use Dallas Love Field for national flights only including Alaska Airlines and Virgin America Airlines. These companies can use the seven full service FBOs (fixed base operators) DLF provides including maintenance, fuel, charters, and hangar rentals. The airport features several restaurants and shops as well as upscale amenities like limousine services, meeting rooms, and car rentals. The sixth busiest airport in the United States, the eighteenth busiest airport in the entire world, Denver International Airport (DIA) serves a whopping 58-million passengers each year. 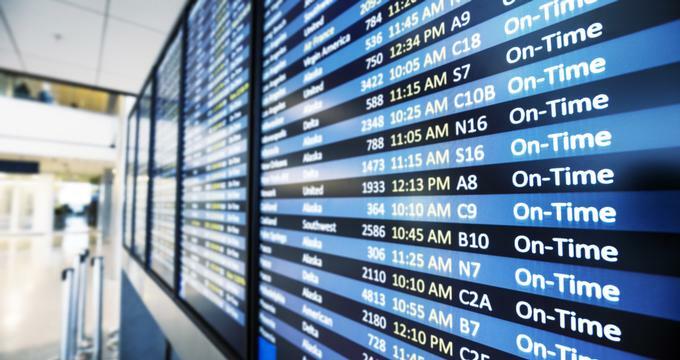 Five airlines fly out of this airport, both nationally and internationally, providing non-stop service to more than 195 destinations all over North America, Europe, Latin America, and Asia. DEN is also the only airport in the U.S. to implement an ISO 14001-certified environmental management system for the entire grounds making it eco-friendly. In addition, its Automated Guideway Transit System makes it easy for visitors to navigate the airport terminals as well as provide easy access to its more than 140 restaurants, shops, and services. The busiest airport in the world, Hartsfield-Jackson Atlanta International Airport (Hartsfield) acts as a global gateway providing non-stop service to over 150 domestic and roughly 70 international destinations. Situated in the heart of Atlanta, Hartfield was the first airport to serve over one-hundred million people in one year. It has over twenty-five airlines including Alaska Airlines, Korean Air, and Virgin Atlantic. Flights travel to the Caribbean, Central America, South America, Europe, and Asia. In many ways Hartfield is a destination in itself featuring over three-hundred restaurants, lounges, bars, shops, and venues as well as an arts program that showcases rotating exhibits and musical performances throughout the year. Located less than ten minutes from downtown Indianapolis, the Indianapolis International Airport (IATA) is an award-winning and record breaking airline with more than fifty non-stop flight destinations. Over a dozen airlines are represented here including Allegiant Air and Vacation Express offering flights to both national and international destinations. A modern and tech savvy airport, IATA boasts an array of intriguing design features including an automatic walkway with futuristic motion-activated lights. IATA is dedicated to their customers comfort. They provide a wealth of dining and shopping opportunities as well as practical services such as complimentary Wi-Fi and currency exchange. Health and wellness resources like a barbershop, meditation room, and AHA walking paths are also available. Located six miles to the west of Downtown Tampa, Florida, in Hillsborough County, Tampa International Airport (TPA) is publicly owned. An astounding 21 airlines fly in and out of TPA to and from 85 destinations, both domestic and international. There are numerous direct flights to Central America and the Caribbean, including four Cuban cities. 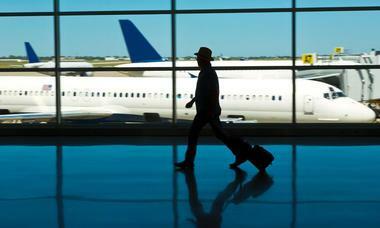 TPA is among the top three airports in the U.S. Ten restaurants serve all airport visitors, and an additional 35 served ticketed passengers. There are also 41 shops available to ticketed passengers. Other airport amenities include self-guided tours, guided tours of the Main Terminal, and airfield tours on a 20-passenger mini-bus. Jacksonville International Airport (JAX) is situated just a few minutes from the city’s downtown area. A major hub for U.S. cities, many of which act as international gateways, JAX serves nearly six million people each year. There are eight primary airlines serving this airport including Air Canada, Allegiant Air, and United, as well as a few regional carriers who provide service to roughly 200 arrivals and departures daily. 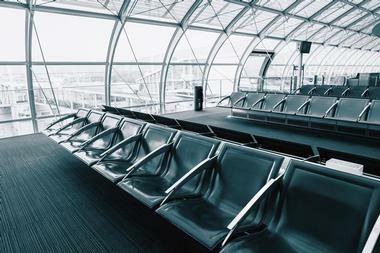 Visitors can take advantage of their downtime between flights at one of the airport’s over twenty shops and restaurants. Best Buy Express, PGA Tour Shop, Auntie Anne’s Pretzels, and Vino Volo – a wine bar featuring international wines by the glass, bottle, or flight – are just a few of the options. Designed to mirror an airplane fuselage, the John Wayne Airport features a glass-enclosed central lobby highlighted by sleek stainless steel and gorgeous natural stone. Large picture windows overlooking the runway and soaring vaulted ceilings simply add to the warmth and beauty of this airport. 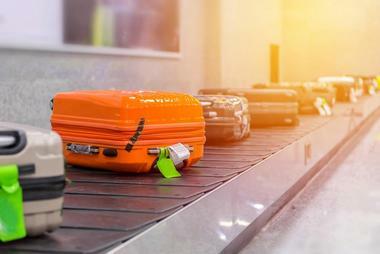 There are three separate terminals at the airport, all of them offer their own ticket counters, gates, security screening checkpoints, and baggage claim areas making it easy and efficient for visitors to navigate. During downtime, travelers can peruse the shops, relax in the departure lounges, or refuel at the food court areas. They can even immerse themselves in the arts with the rotating art exhibits running along both concourses. Located less than five miles from Downtown Long Beach, the Long Beach Airport (LGB) operates as a commercial passenger, military, and cargo airport. It has one of the strictest noise ordinances in the United States, and is the tenth busiest airport in California. Five airlines operate out of LGB providing various non-stop flights to all over the country including Honolulu, Las Vegas, New York, and Seattle. There are seven places visitors can get a bite to eat at the airport. Five are located in the north concourse, and include Taco Beach Cantina and George’s Greek Café. On the south concourse there is Boathouse on the Bay and Polly’s Coffee & Sweet Jill’s Bakery. 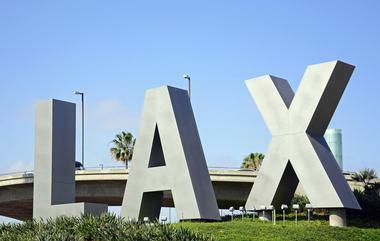 Los Angeles International Airport (LAX) is situated less than twenty miles southwest of the city’s downtown area. It is the fourth busiest airport in the world by passengers, and the second busiest in world overall serving over 84 million people each year. This nine terminal airport is the designated hub of the three U.S. legacy carriers, United, Delta, and American. As the international gateway to the Pacific Rim, Alaska Airlines, Air New Zealand, Volaris, and over a dozen additional airlines also fly in and out of LAX. The airport has nearly 200 restaurants and shops as well as amenities and services such as nursing stations, an animal relief station, and an arts program. Located roughly 50 miles north of Boston and nestled in the heart of New England, the Manchester-Boston Regional Airport (MHT) provides visitors with world class infrastructure and aviation facilities. This airport doesn’t provide international flights and has only four airlines, American, United, Delta, and Southwest. Most non-stop destinations are along the east coast to cities such as Orlando, Tampa, Charlotte, and Newark, but flights to Chicago and Atlanta, two international gateways, are also available. While waiting for their flights at this sleek and modern airport, travelers can meander through specialty shops like NH Liquor Store, meet a deadline at their Eastern Bank Business Center, or dine at one of the restaurants like Sam Adams Pub & Café. Bradley International Airport is located in Windsor Locks just under fifteen miles north of Hartford, Connecticut. 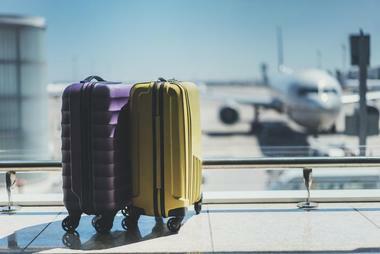 American, JetBlue, Delta, United, and Southwest airlines service both business and leisure travelers flying to major U.S. locations, Canada, Mexico, Ireland, and Scotland. This contemporary and sleek airport acts as a gateway to New England and offers visitors a duty free shopping area for tax-free purchases. It also provides people with a wealth of advisories and services such as TSA PreCheck, global entry enrollment, private nursing rooms, and numerous accessibility features like translators and commuter carrier lifts. Bradley is also equipped with several clubs, lounges, shops, and restaurants such as Brooks Brothers and Black Bear Saloon. Considered the economic engine of the Carolinas, the Charlotte Douglas International Airport strives to provide the highest quality products and services at the lowest possible prices. And they never come up short. In fact, in 2010 they were the winners of Best Airport receiving the Eagle Award, the most prestigious award in the aviation industry. The world’s sixth busiest airport, CLT offers provides numerous non-stop flights to over 160 destinations all over the globe with over 700 arrivals and departures each day. Three foreign and seven domestic airlines fly out of CLT and over one hundred shops, lounges, restaurants, and bars serve the airport including Chick-fil-A, Cinnabon, Pinkberry, and Hissho Sushi. 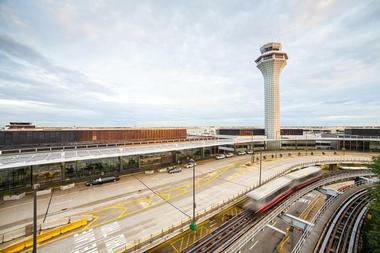 Chicago O’Hare International Airport (ORD) is situated 14 miles northwest of Chicago’s business loop. 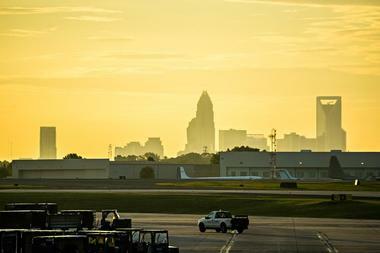 The airport sits on over 7,600 acres and is operated by the city. 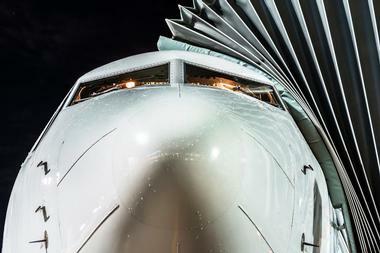 It has 217 direct flights to national and international destinations on five continents. This airport is scheduled for an approved $8.7 billion, eight year makeover with a 2019 start date. In the meantime, parents will love the Kids on the Fly exhibit where children can play in an interactive educational play area. Other airport amenities include an on-site hotel, Mother’s Room, Yoga Room, Aeroponic Garden (a must-see), access to Hilton Health Club, and a world-renowned public art space. With over 130 eateries and marketplaces, there’s no shortage of places to dine. 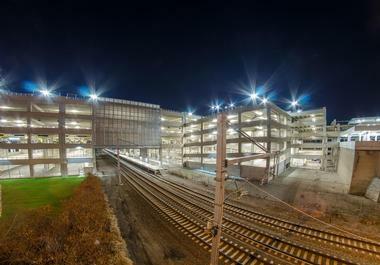 Pittsburgh International Airport (PIT) sits in a Pittsburgh suburb with easy access to the city via Business Loop I-376. The airport is home to several commercial airlines, including discount airlines WOW Air and Spirit Airlines. It’s also home to military flights. 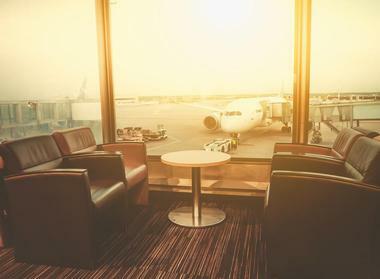 Travelers can expect services like free Wi-Fi, Club Lounge, Military Lounge, Mother’s Nursing Lounge, and a Sensory Room for anxious travelers, as well as a Pet Relief area. There is a Kidsport Play and Learning Area where active kids can unwind. Other airport amenities include Hyatt Regency Hotel connected to the airport, a Tuskegee Airmen Exhibit, a Mr. Rogers Exhibit, two massage services, and of course, great shopping and dining. Portland International Airport (PDX), a civil/military airport, is Oregon’s largest airport. Sixteen airlines service passengers at PDX with nonstop flights to over 90 destinations worldwide. The airport has nearly 60 shops and restaurants for travelers, including top names like Bambuza Vietnam Kitchen, Beaches Restaurant, Nike, Columbia Sportswear, and Deschutes Brewery. The Port of Portland curates nine art exhibits throughout the airport terminal that feature regional artists. Live music performances are offered throughout the airport by local volunteer musicians. Guests can expect contemporary, jazz, and classical sounds. In this city obsessed with biking, the airport provides travelers with an array of bicycle services including secured parking. Portland International Jetport (PWM) is located a couple miles west of Portland, Maine, in Cumberland County. The city of Portland owns and operates it. 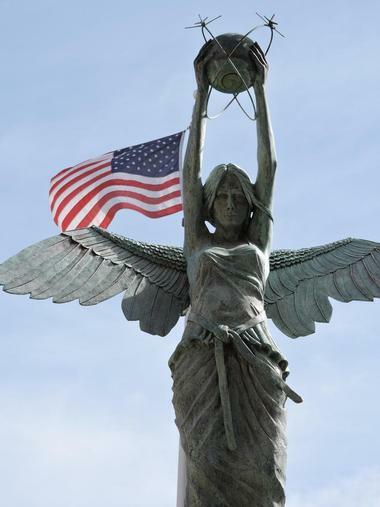 Six airlines fly in and out of PWM – American, Delta, Elite Airways, Jet Blue, Southwest, and United. 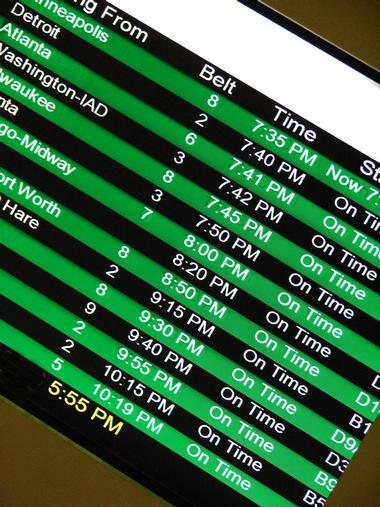 There are nonstop flights to 13 domestic destinations. Most are on the East Coast with the exception of Chicago, Detroit, and Denver. The airport is five minutes from Downtown Portland. PWM caters to the business community with an easily navigable layout. It’s ease of use is also beneficial to tourists visiting the up-and-coming trendy city. Sacramento International Airport (SMF) is northwest of downtown Sacramento by about 10 miles in Sacramento County, California. This airport serves as the Northern California gateway. There are two terminals on the 6,000-acre property with 32 gates accommodating passengers on 10 airlines. There is an extensive, $6 million artworks display that includes mixed media sculptures and pieces by 14 artists. 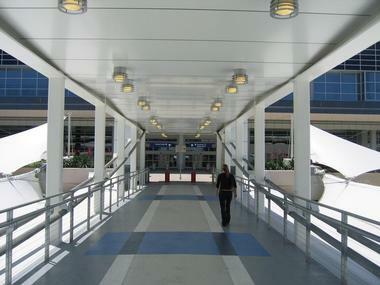 There is a third-floor shopping and dining area, and the airport is serviced by a Sacramento light rail. Travelers can expect nine eateries and seven shops in Terminal A, and 13 eateries and 12 shops in Terminal B. Travelers to San Francisco, California, will arrive at San Francisco International Airport (SFO) to begin their stay in the City by the Bay. 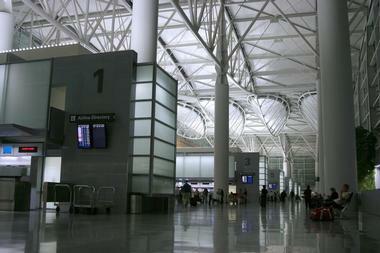 The airport is in San Mateo County, 13 miles south of San Francisco’s downtown. 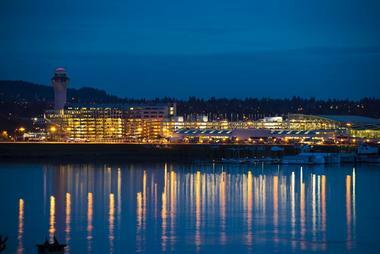 This award-winning airport has received accolades for everything from outstanding airport staff to environmental and economic leadership. Visitors can expect 73 trendy shops, and an eclectic array of 65 eateries. There are 22 things to do at SFO from visiting their Aviation Museum & Library to taking the little ones to Kid’s Spot – an interactive educational play area to watching short-form films at Video Arts. Savannah/Hilton Head International Airport (SAV) is a military use and commercial airport. It’s owned by the city of Savannah. 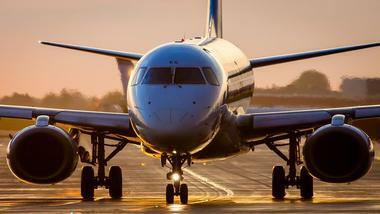 Eight airlines offer domestic direct flights to 26 U.S. cities. Travelers with overnight layovers will appreciate the 13 nearby hotels that provide great dining options and meeting spaces. Those with long layovers may want to explore nearby historic Savannah, Hilton Head Island, or Tybee Island. A Visitor Information Center is near baggage claim for lots of great information and advice, maps and directions, and numerous brochures for local attractions. 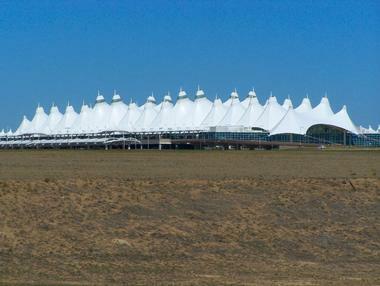 This architecturally beautiful airport has been named to the 10 Best Domestic Airports list. 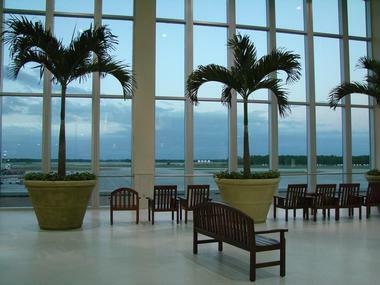 Located in South Fort Meyers in Lee County, Florida, Southwest Florida International Airport (RSW) primarily serves Florida’s Gulf Coast including Fort Meyers, Sanibel, Marco Island, Greater Naples, Cape Coral, Charlotte Harbor, the Everglades, and Gulf Islands. Area attractions are a quick drive from the airport. This sleek, modern, state-of-the-art facility received a grand upgrade in 2005. Fifteen airlines fly in and out of RSW with nonstop service to major gateways, and international service to Germany and Canada. There are 36 restaurants, markets, and shops throughout the main terminal and three concourses. 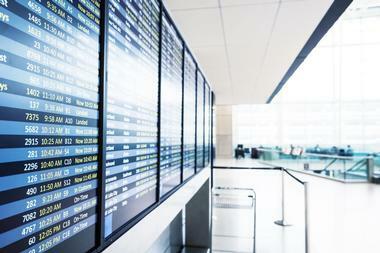 Airport services include currency exchange, business center, and visitor information services. T. F. Green International Airport (PVD) is located six miles south of Providence, Rhode Island. Ten airlines provide service in and out of this airport. Travelers can expect a dozen eateries from coffee shops to brew pubs to fine dining restaurants. Thirteen stores and kiosks offer travelers everything from sunglasses, jewelry, and books to an array of duty-free products. Other airport amenities include free Wi-Fi, a military lounge, massage, shoe shines, meditation and game rooms, ATMs, and an animal relief area. There is also a Little Free Library near Starbucks on the lower level where travelers can take or leave a book.